In the ‘modern world’ where people become very busy looking inward at their own lives and may not take the time to observe the lives of others, I’ve noticed people are making more of a conscious effort to contribute in a positive way in society for the benefit of others. Whether this is something new in the circles I move in, or just new to me, is questionable. But still it makes you think about how societies evolve and adapt to change in circumstances and environment. 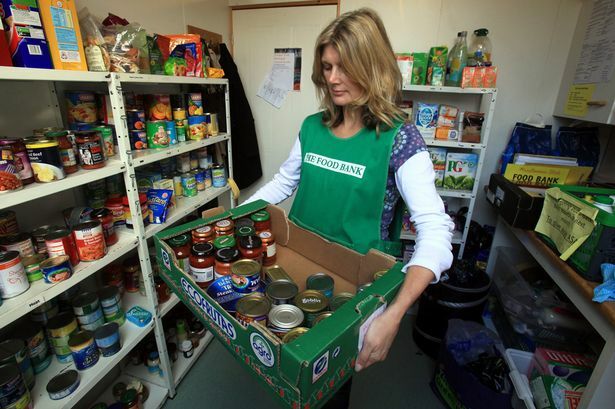 In the UK, the grown on Food Banks where people are overly relying on food donations we are seeing massive increase in the number of ‘Junk Food Cafe’s’ popping up. The concept behind them are to cook food for the public from ‘goods that would otherwise have been thrown away by supermarkets, independent grocers and food banks’. These unwanted food is charging a “pay as you feel” policy, allowing ‘customers’ to pay what they feel they can, and if that is nothing, they can help with the washing up. The idea of a ‘Pay as You Feel Cafe’ is an interesting one as how do you ensure that everyone actually makes a contribution? If the concept of ‘Pay As you Feel’ isn’t embraced by all then will the concept as a successful business model? I’m hoping to find out through getting involved in a couple of such cafes so I’ll soon find out! My next experience is one that is probably familiar to most but was new to me, and nicely ties into the ideas I’ve shared above. I was invited to attend this fundraiser where the food on offer was wood fired pizzas made from ‘waste food’ to raise money for local food banks! The event took place in a community allotment and people got together to eat and drink whilst raising money for a good cause. I went alone and got chatting to several people who shared stories about how they love to spend time in the shared allotment to grow the fruit and vegetables. I grow a few vegetables my yard at home but the space is limited and although I enjoy pottering around the garden, the idea of doing it with other people really appeals… that day I even bought some local honey and organic eggs from some allotment owners, how else would I have been able to do that? My final experience to share is that of a local apple cider distillery I happened upon whilst volunteering for a new Junk Food Cafe. As I was working with a small group of volunteers to break down wooden pallets to be recycled into cafe furniture, a slow trickle of local people came along and dropped off bags and bags of apples they had harvested from their gardens. This project takes unwanted and excess apples and turns it into cider or apple juice and the apple donors can take away samples of the cider or juice back with them! In late summer I often wander past gardens full of over ripened fruit trees and wonder why people let the fruits go to waste. The Moss Cider project encourages the fruit donors to get involved in the processing of the fruit so people can get a real experience out of it too. Just from this handful of experiences I have had in the past two weeks has really opened my eyes to the different ways that food really is bringing communities together. I often think back on meals shared with friend and family remember the food we ate as much as the memories created.